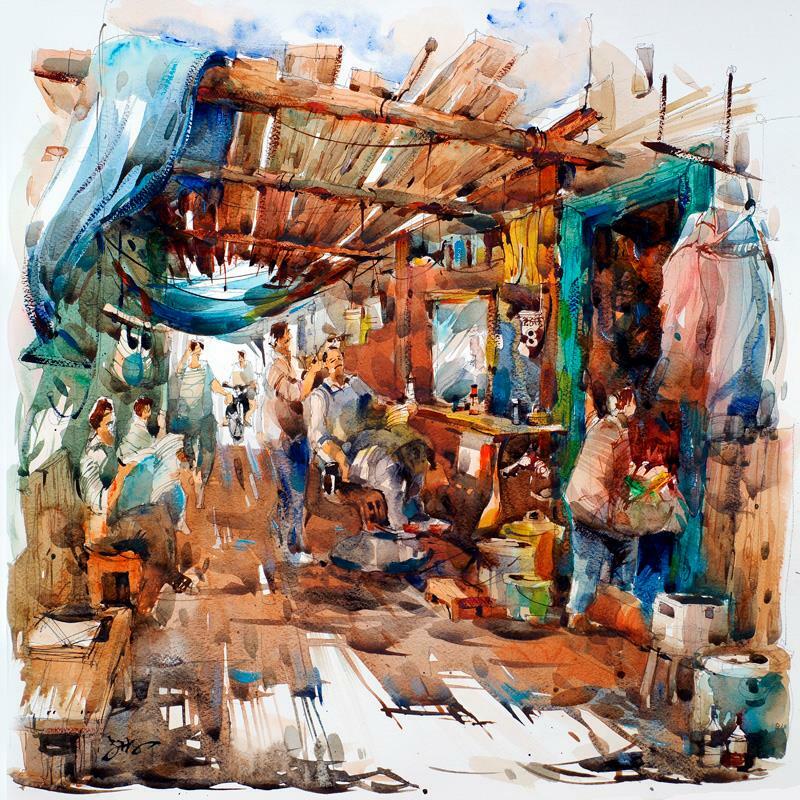 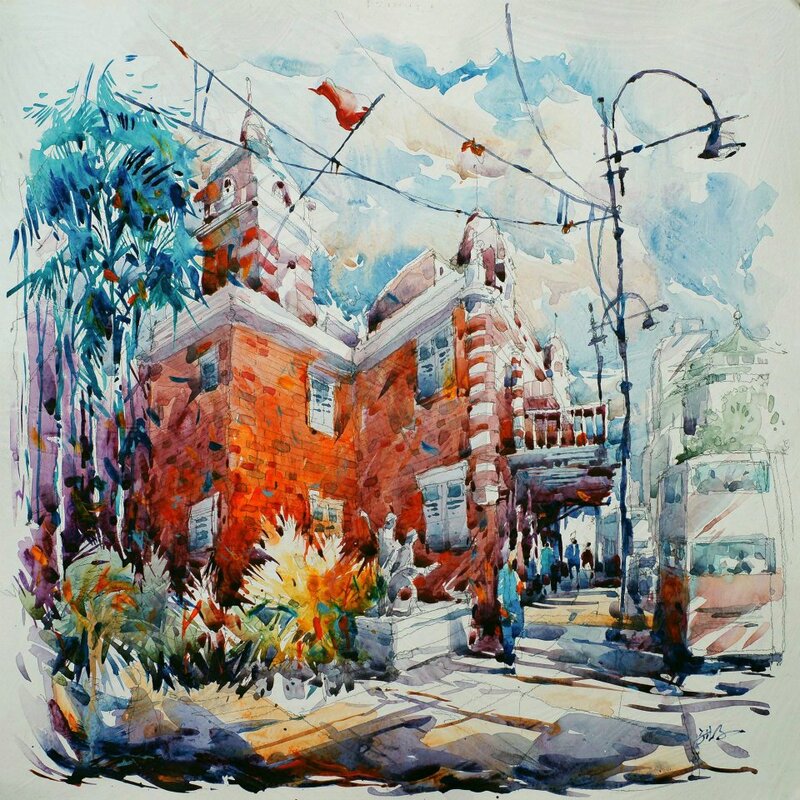 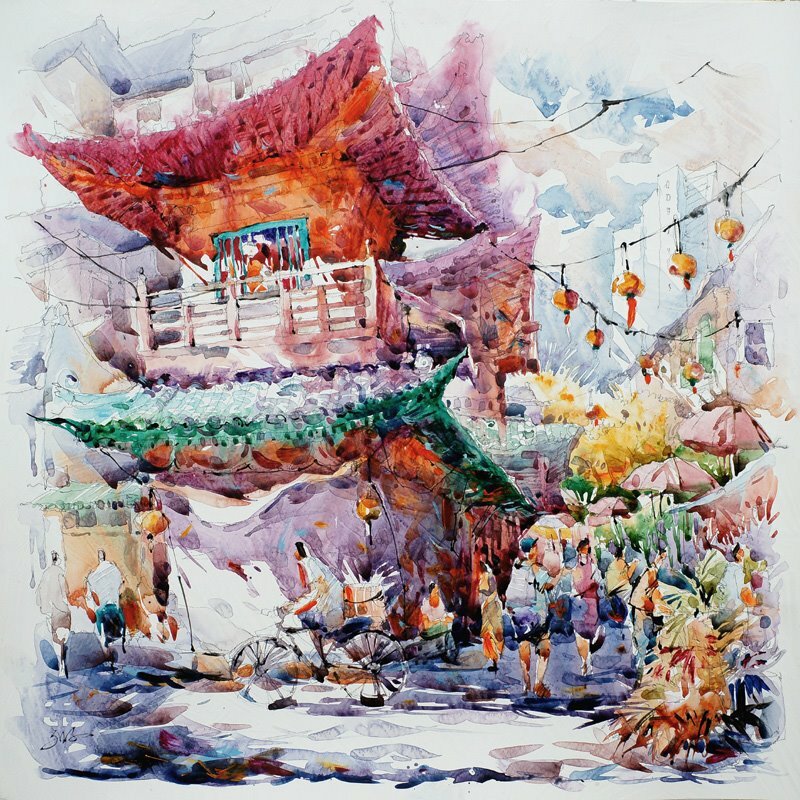 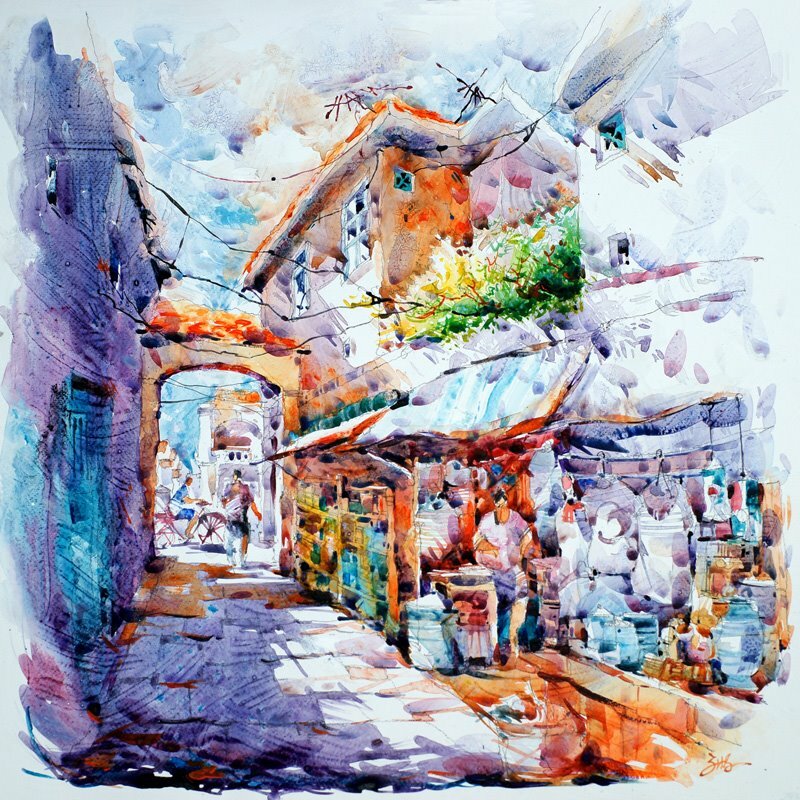 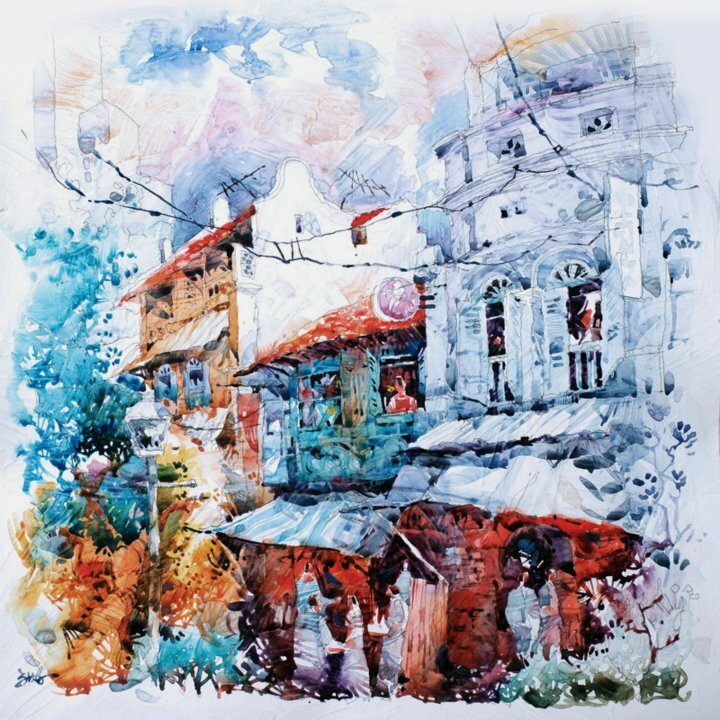 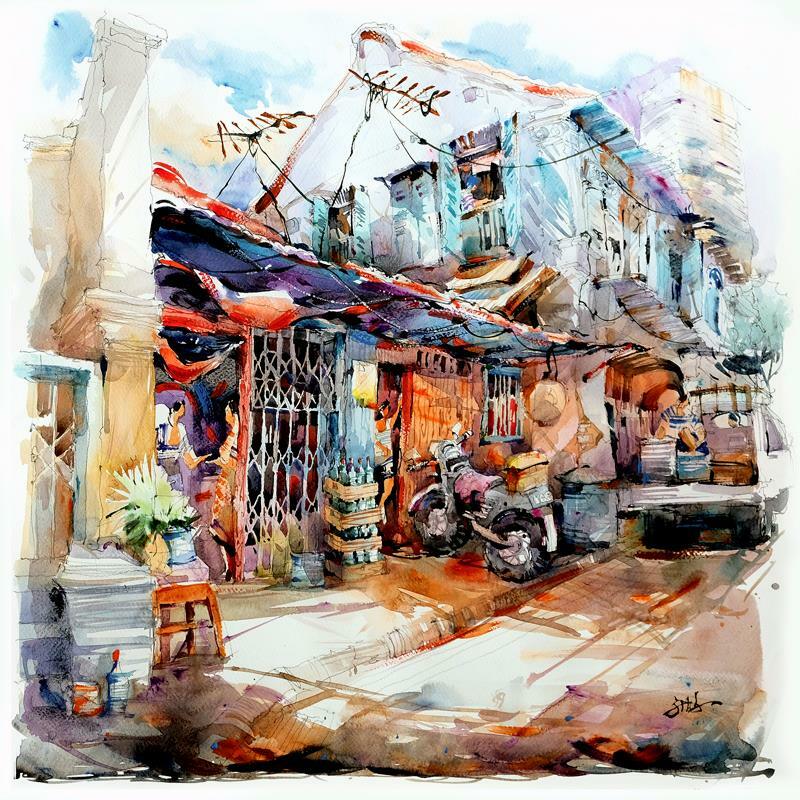 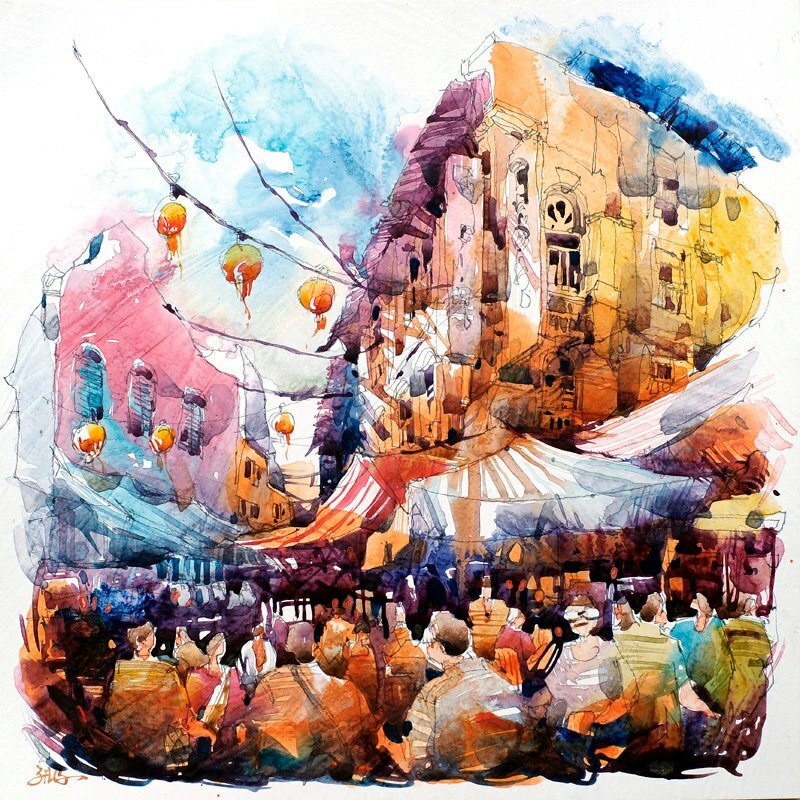 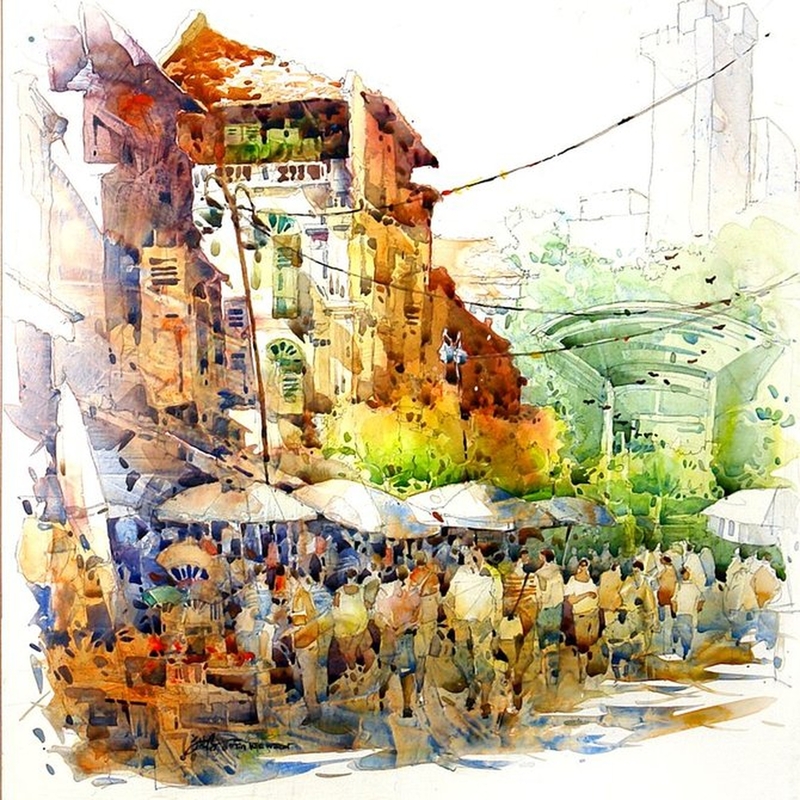 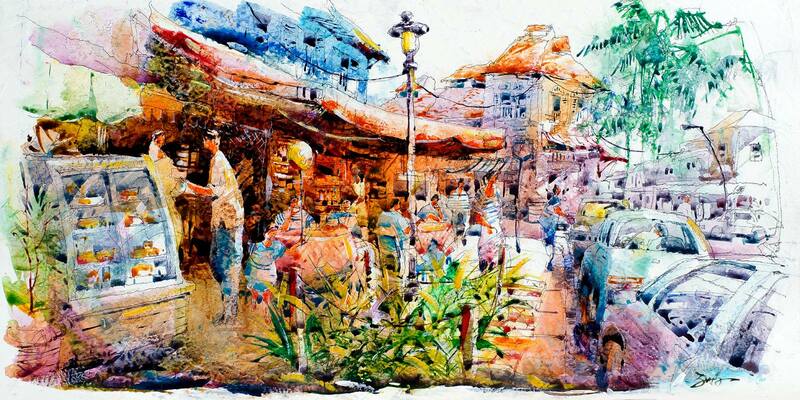 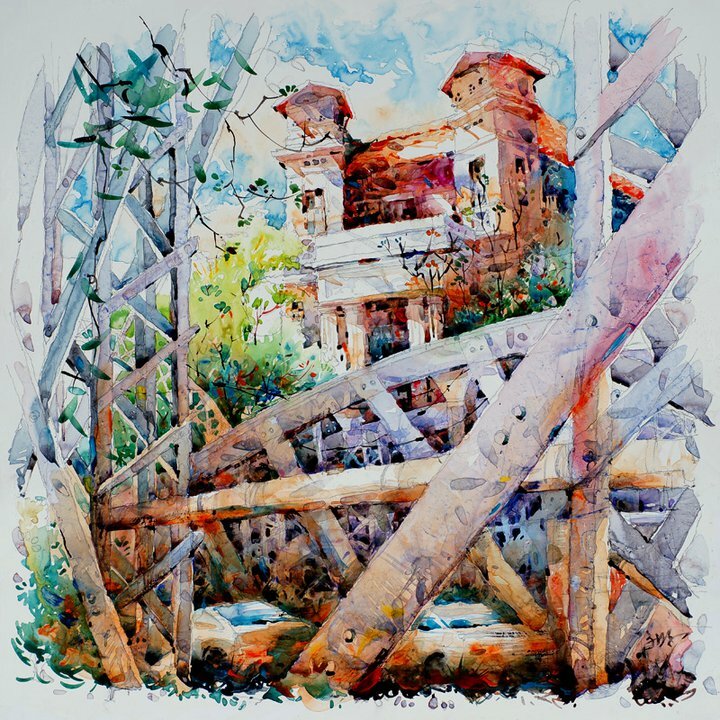 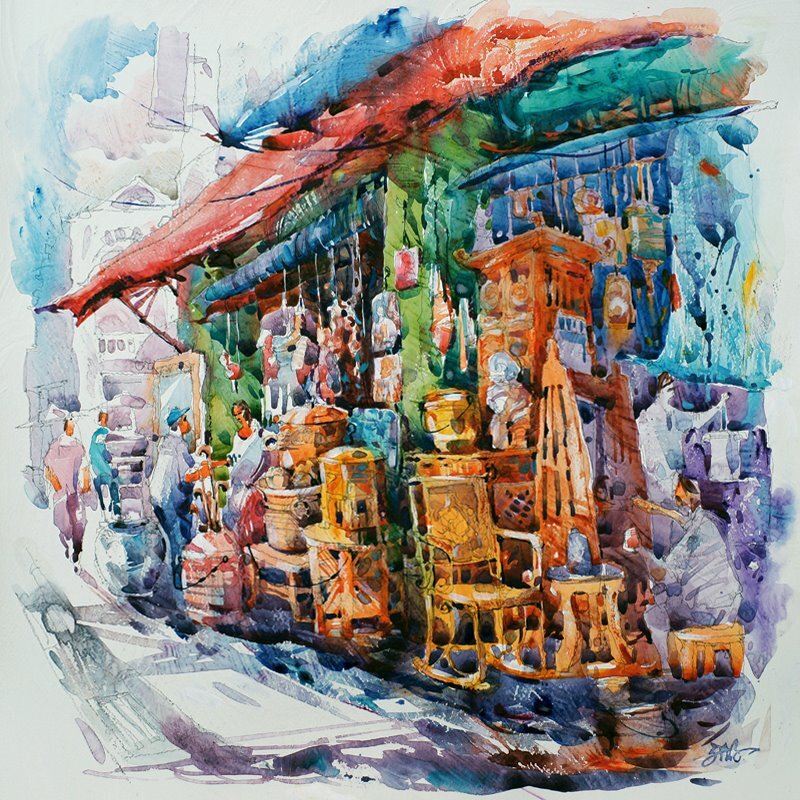 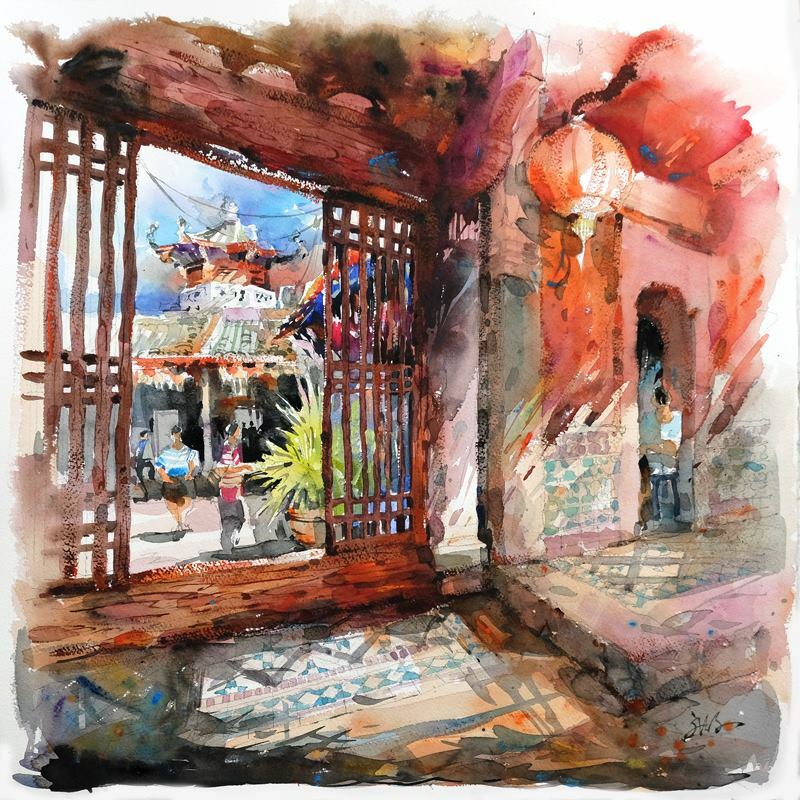 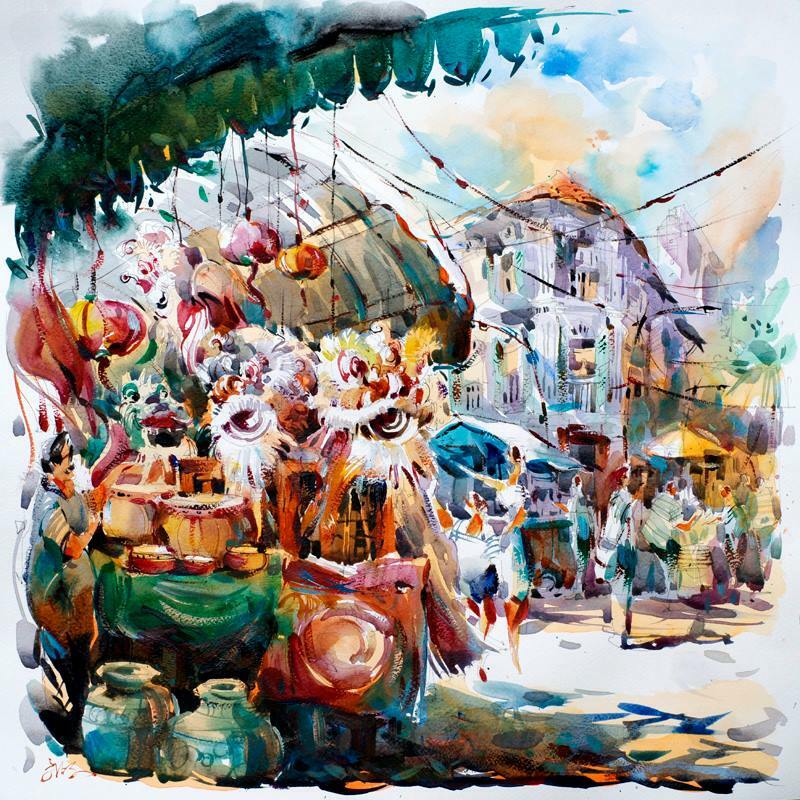 Jack Tia Kee Woon is an artist from Singapore. 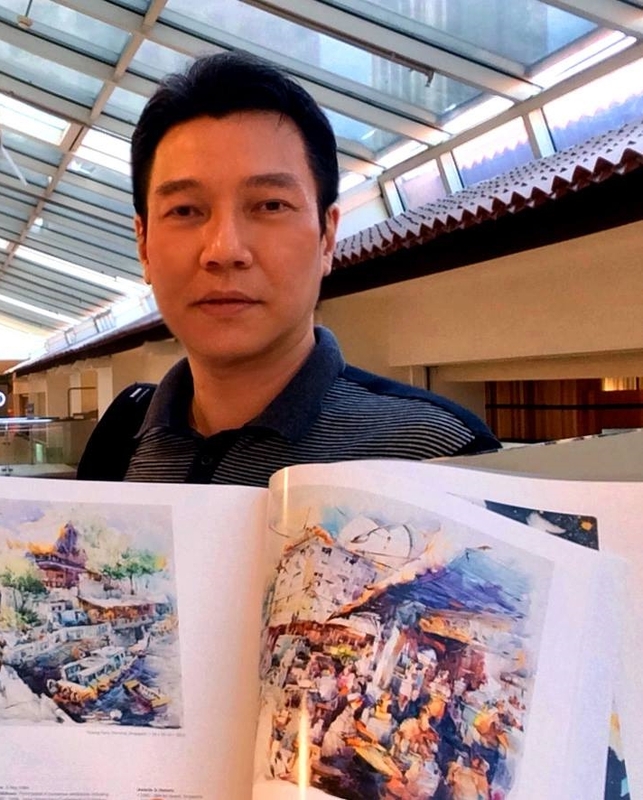 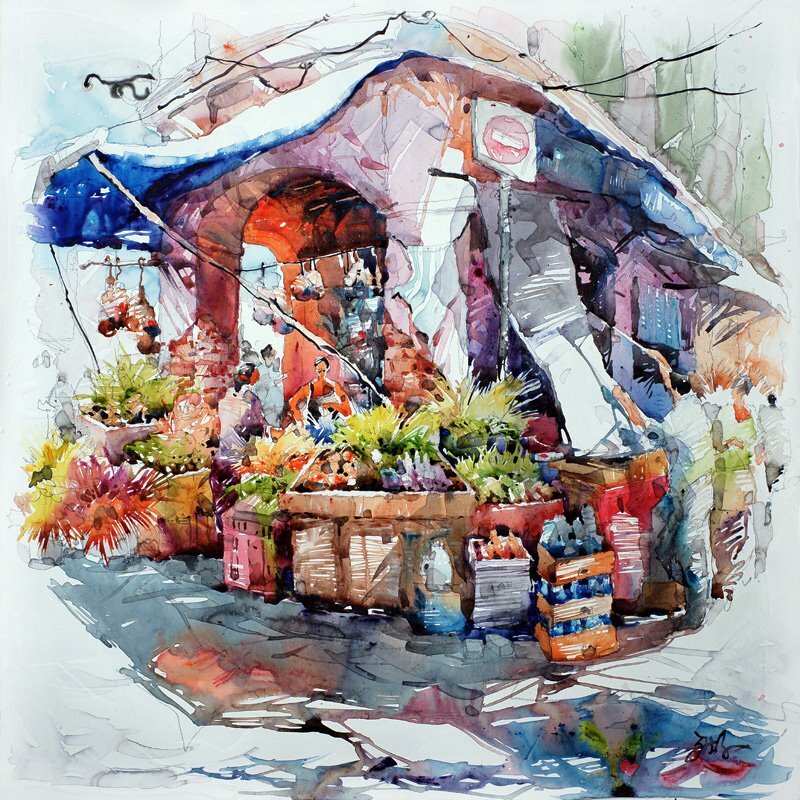 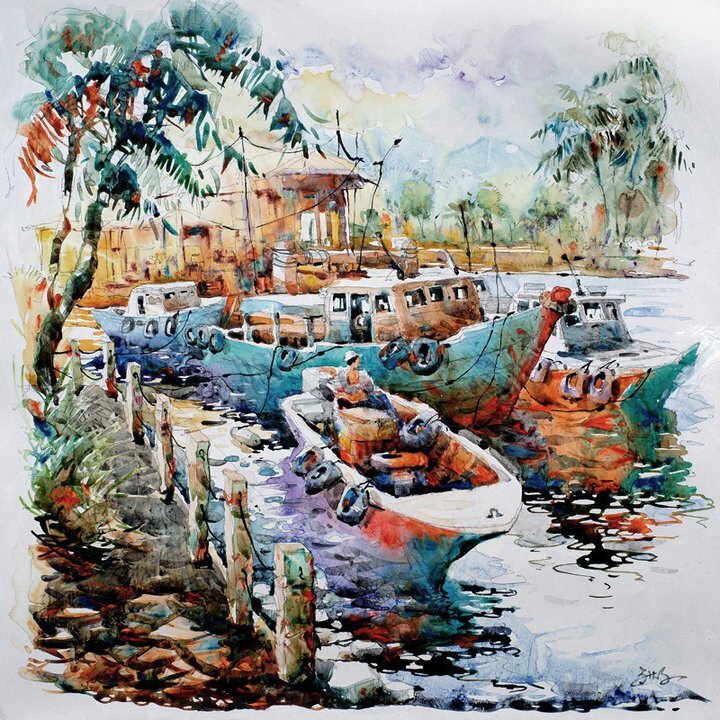 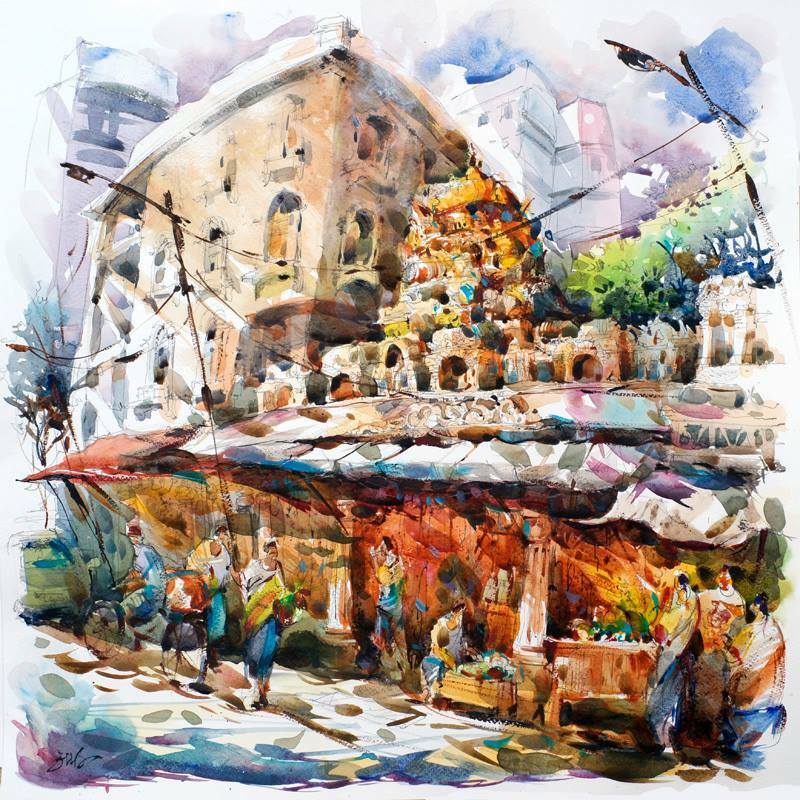 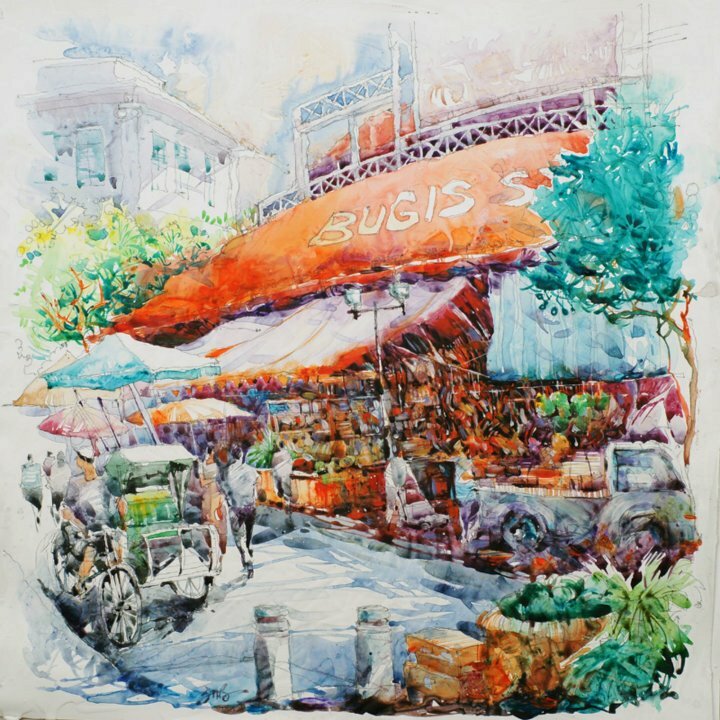 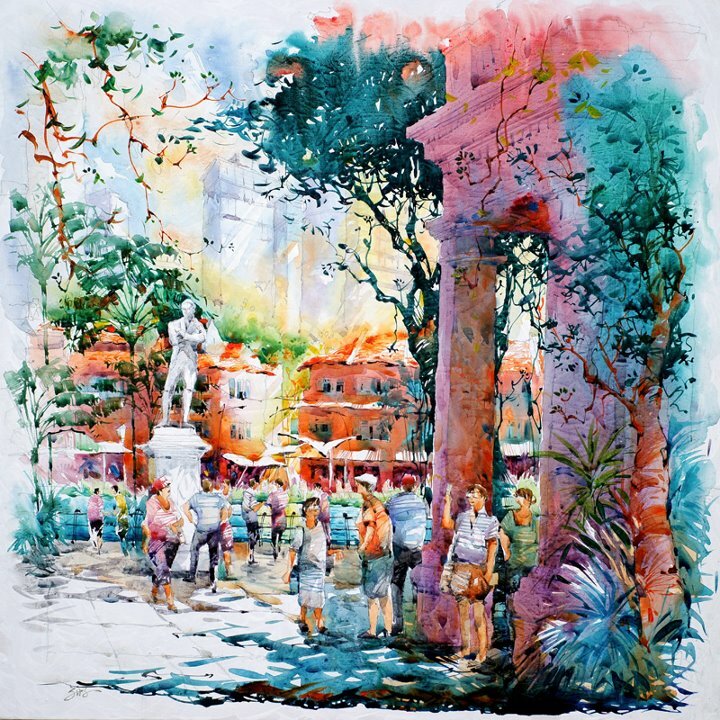 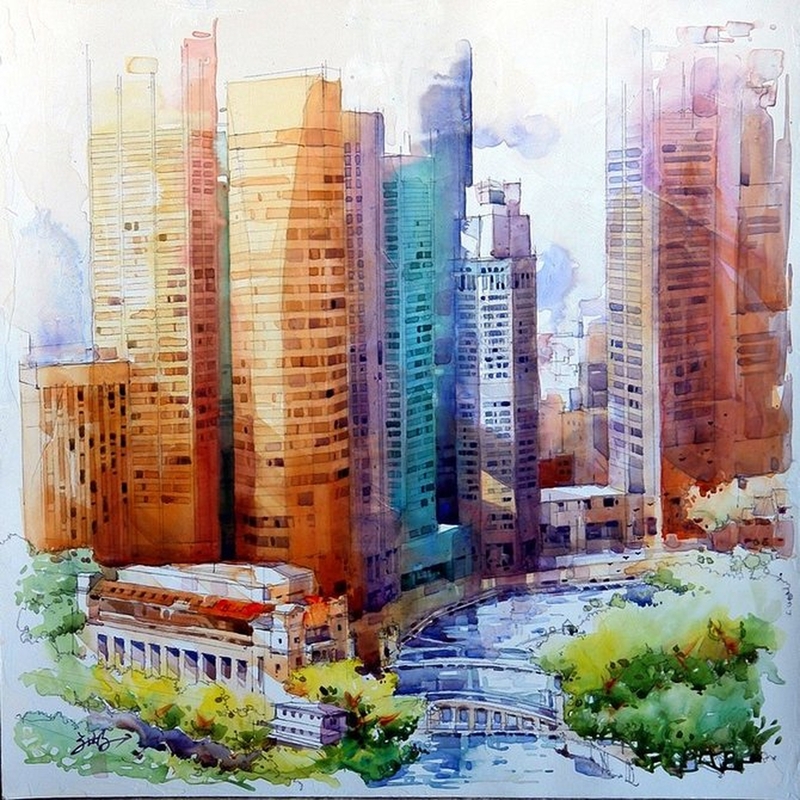 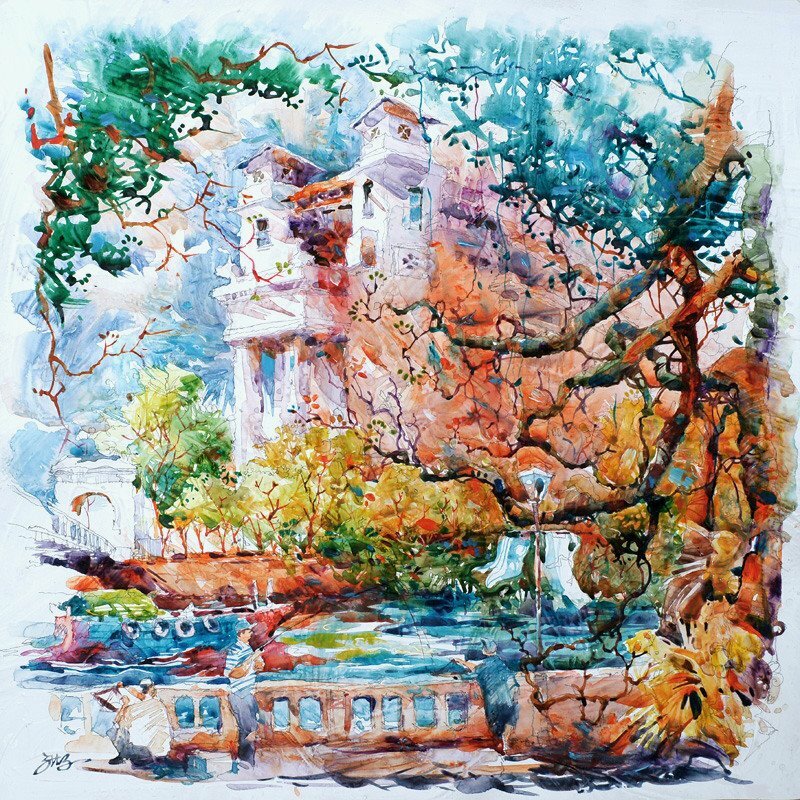 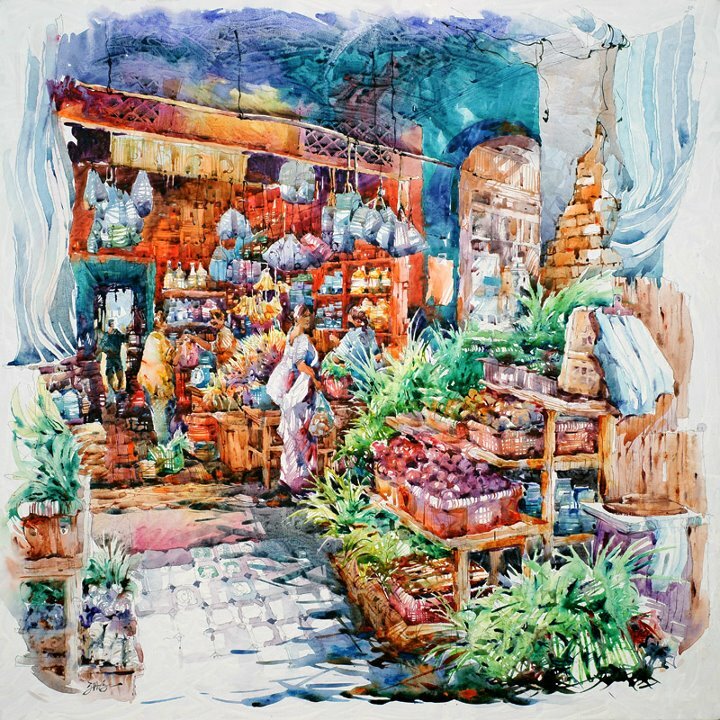 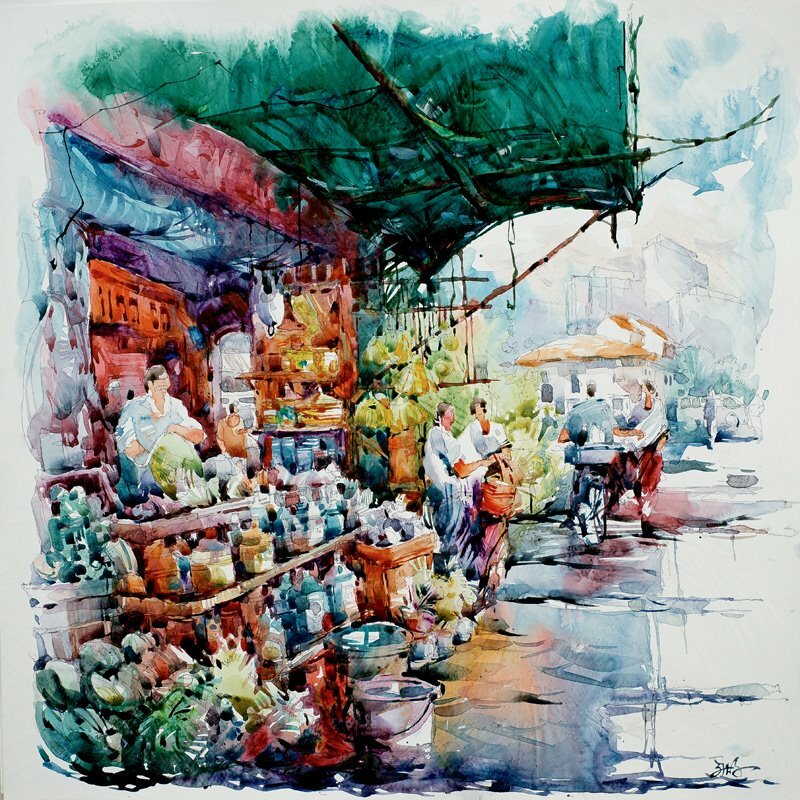 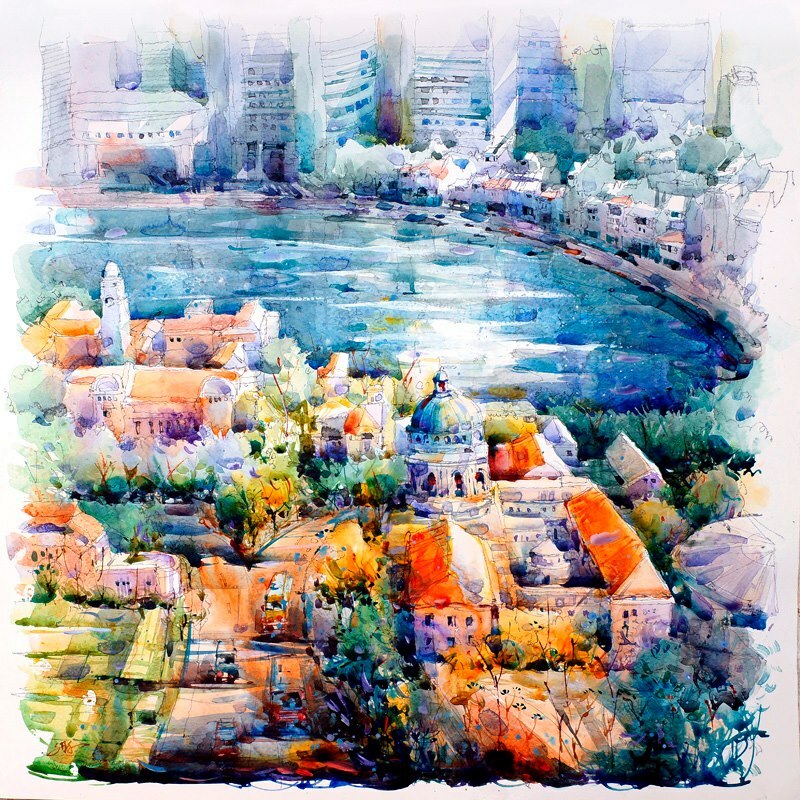 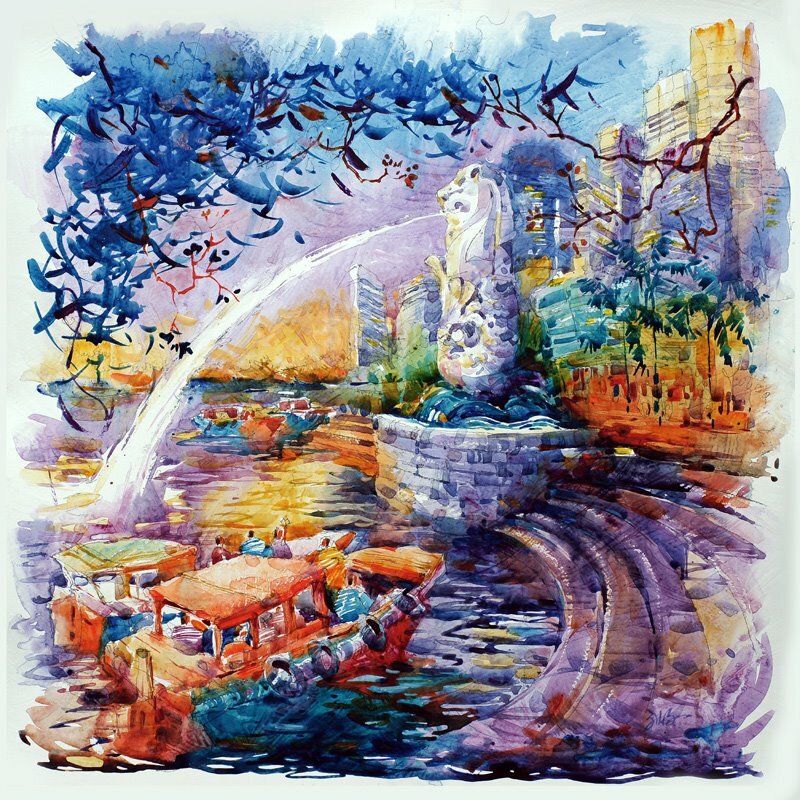 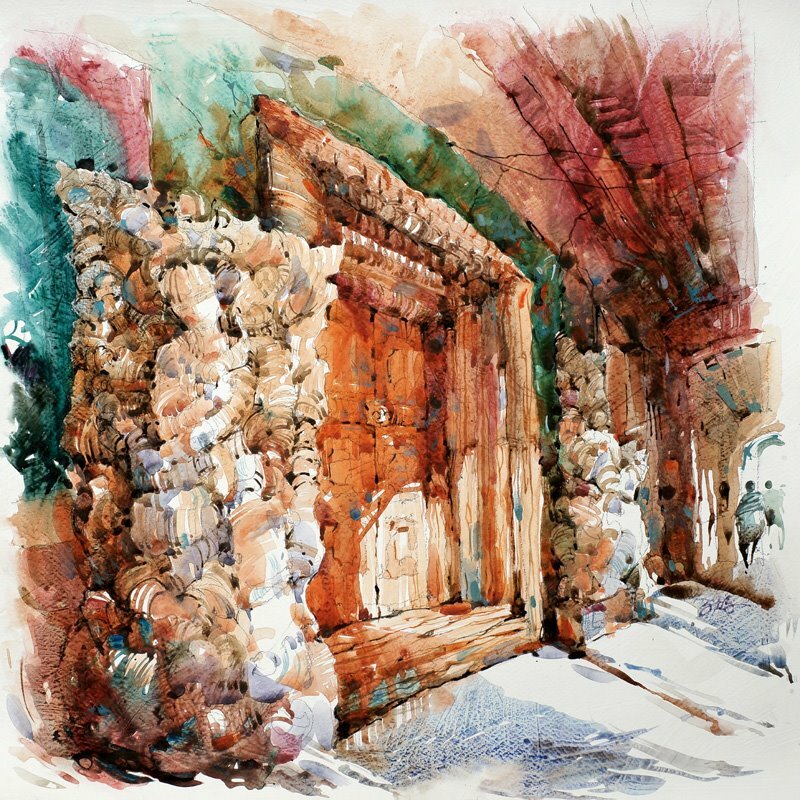 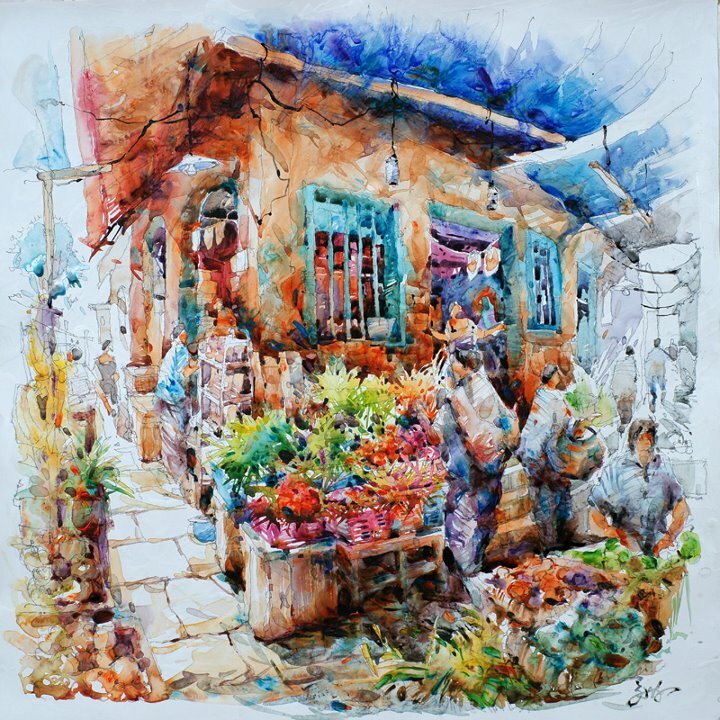 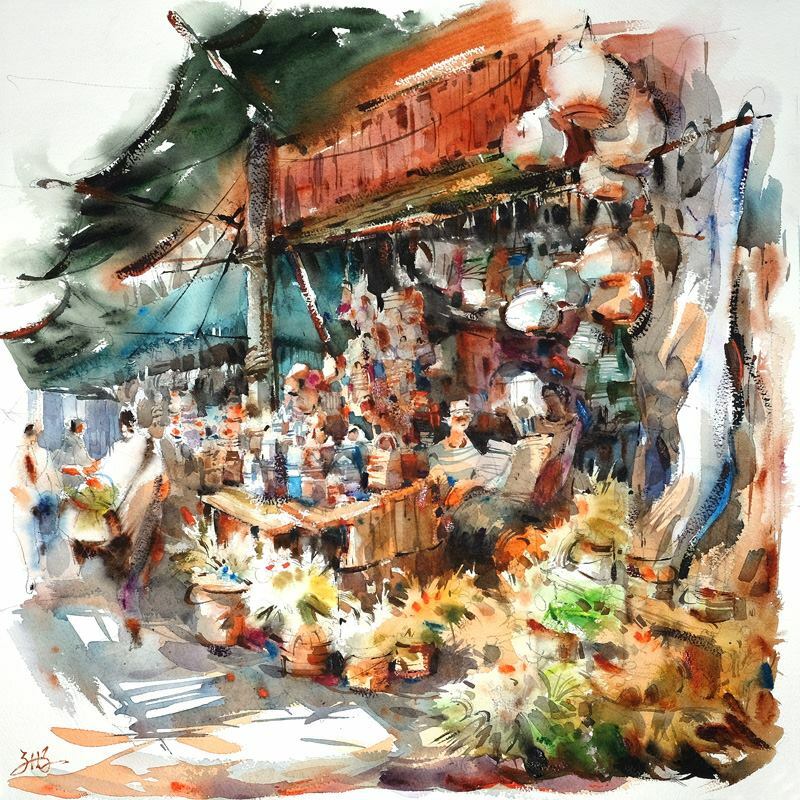 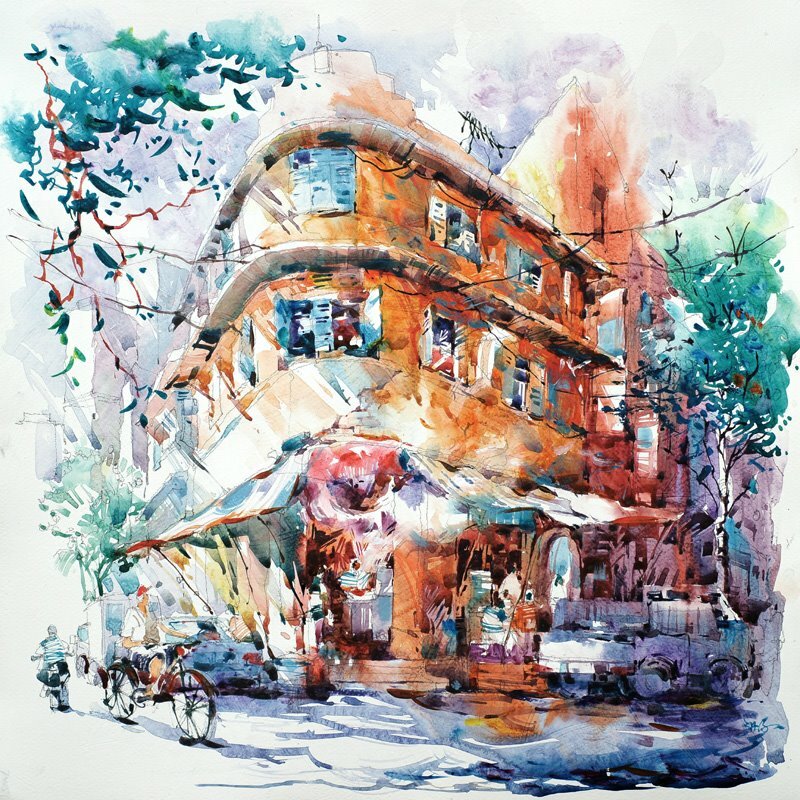 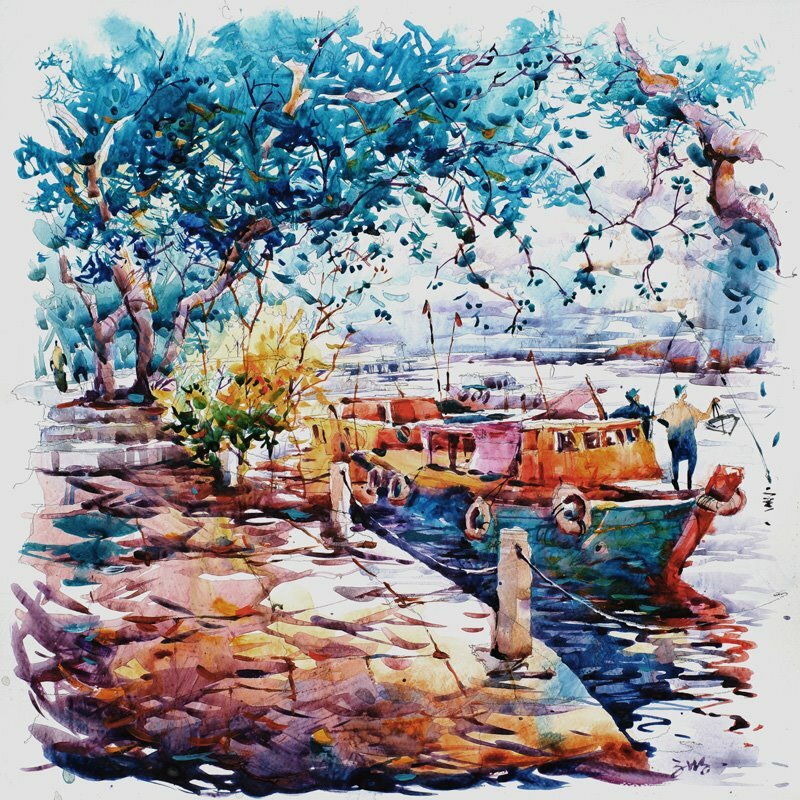 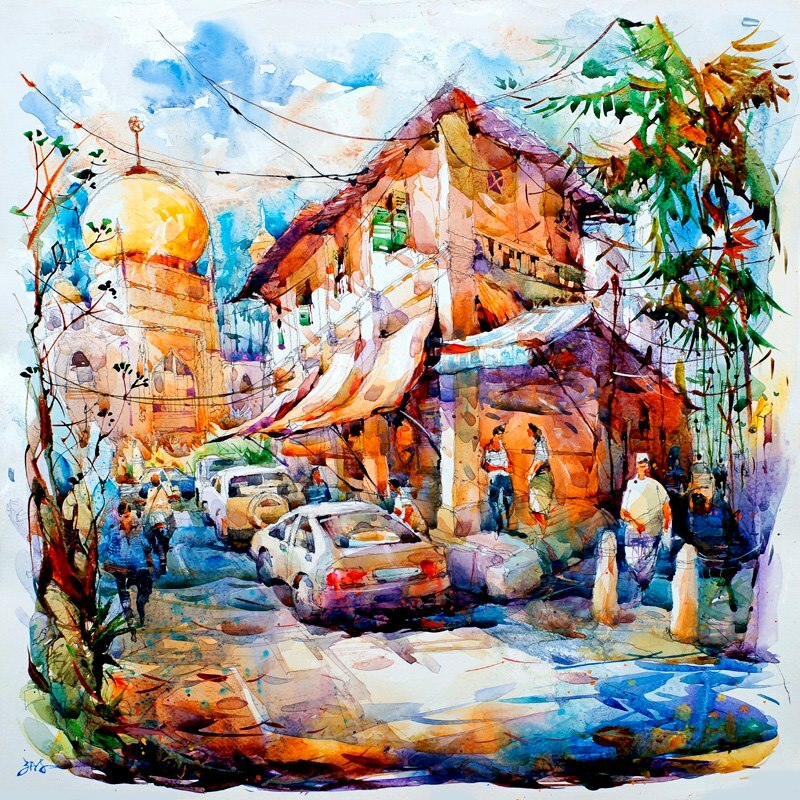 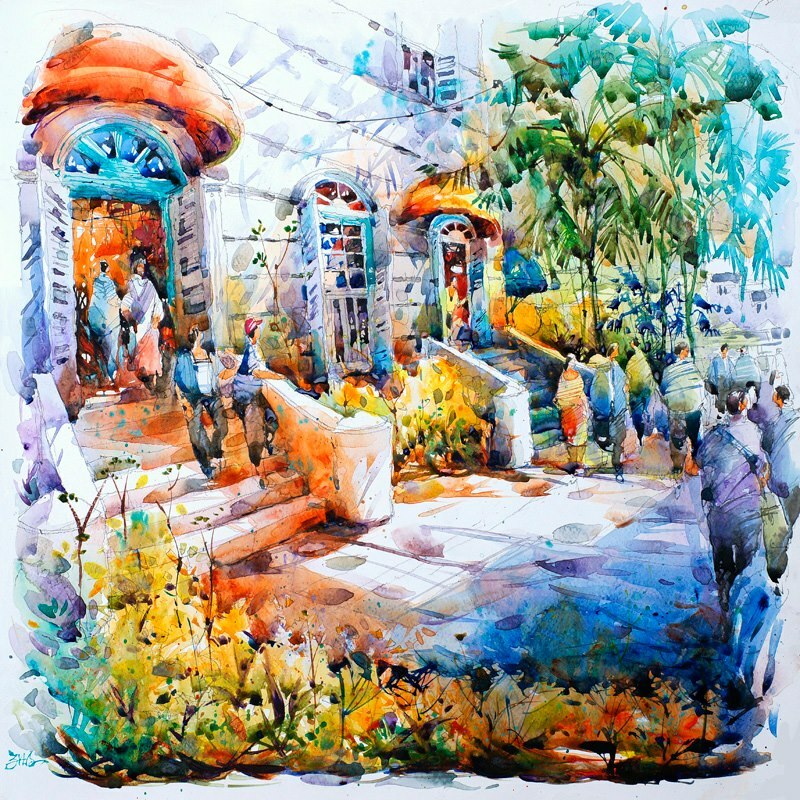 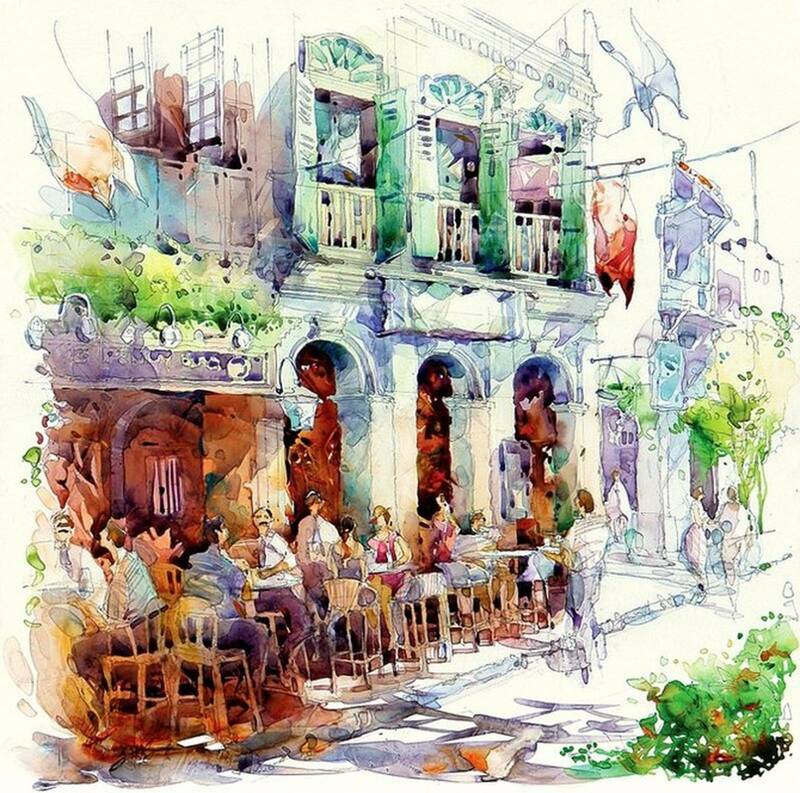 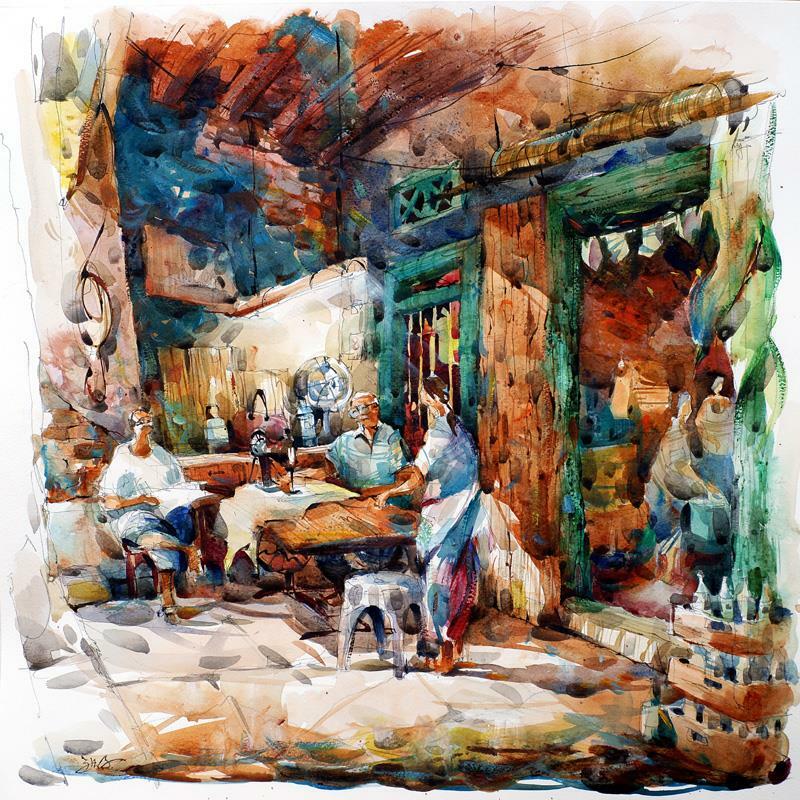 He is famous through his technique of watercolor painting in acrylic environment. 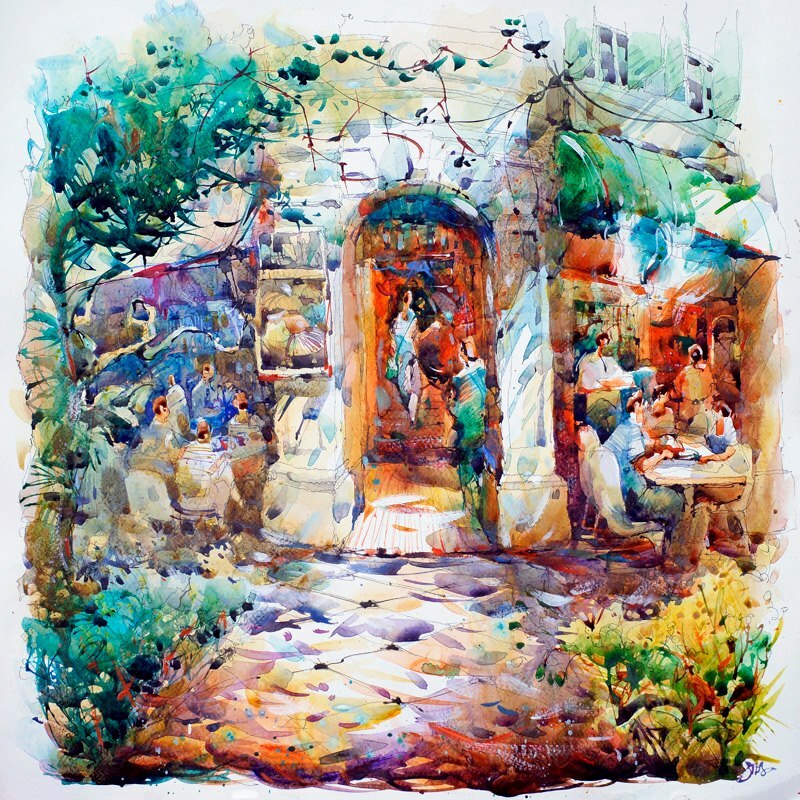 His painting style is very light and radiant, where the watercolors add the transparence to the picture, while acrylic make the colors look very deep. 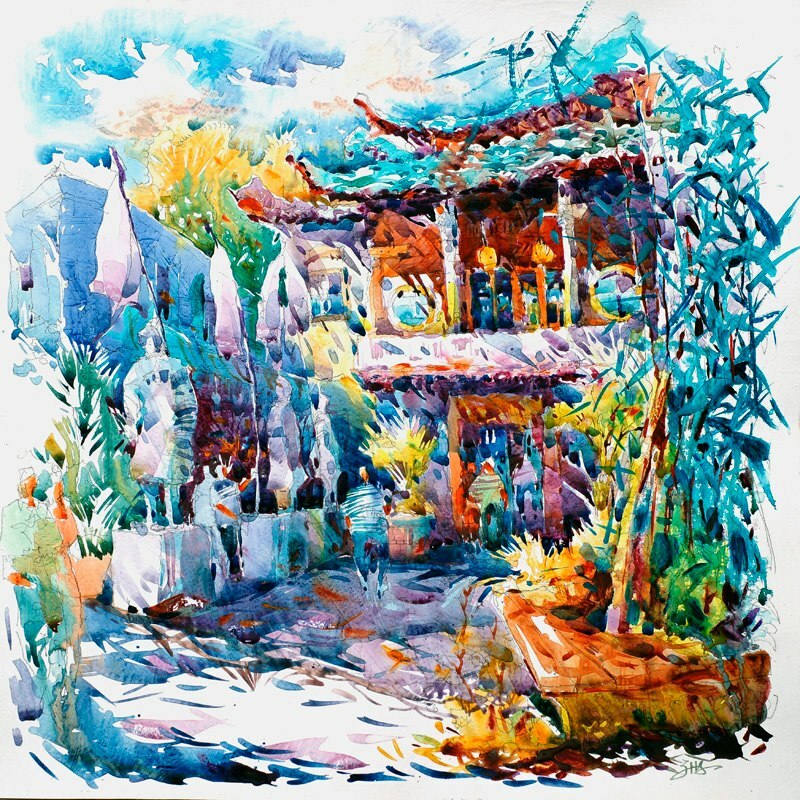 One can see the influence of Chinese and Japanese culture on his art. 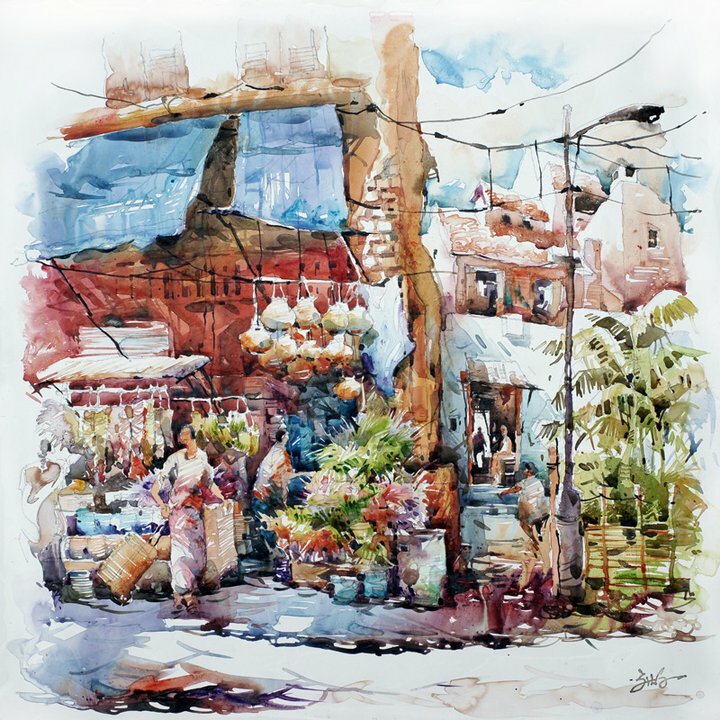 His artworks bring out the vibrancy of acrylic medium while not losing the freshness and transparency of traditional watercolour. 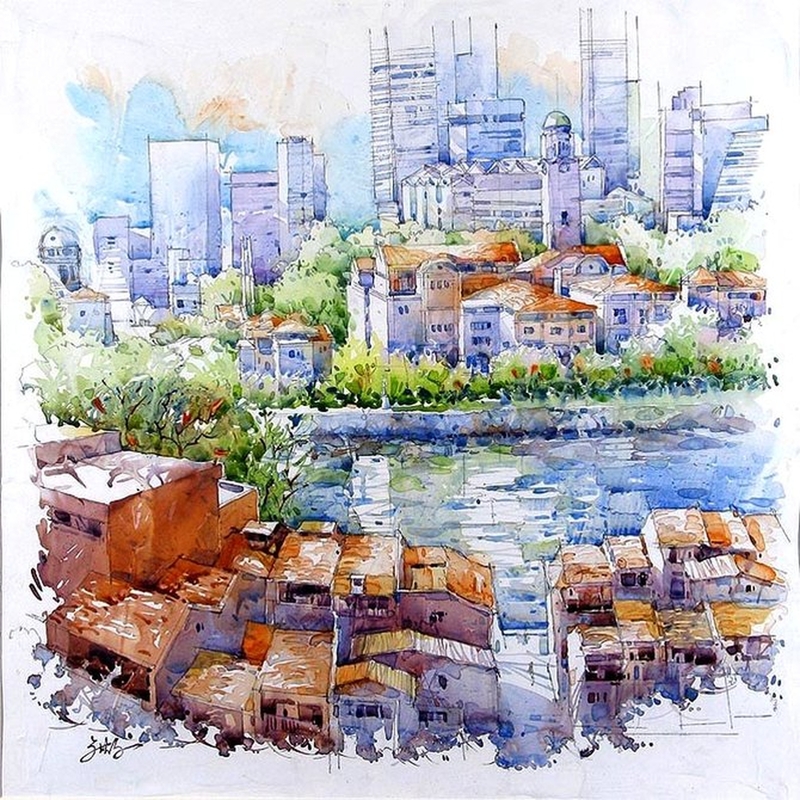 His choice of colours and delicate execution of the medium make his approach very suitable for complex landscape subject matters. 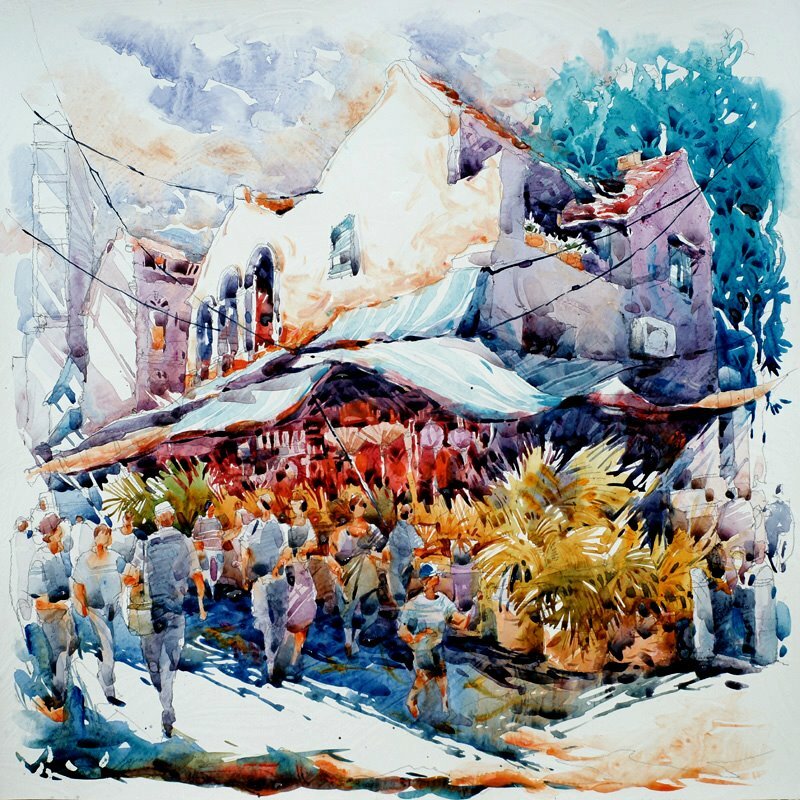 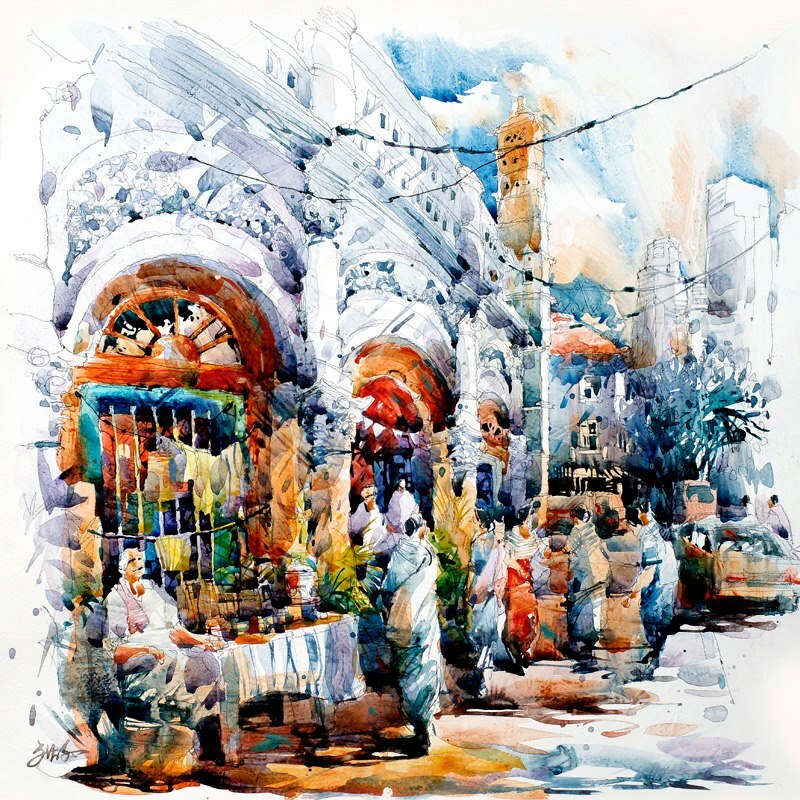 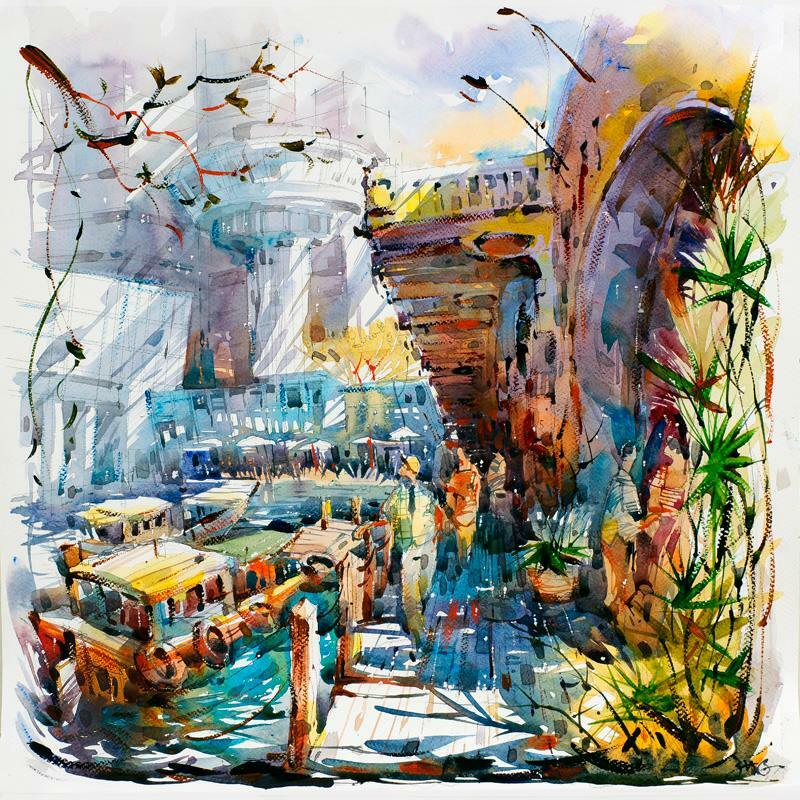 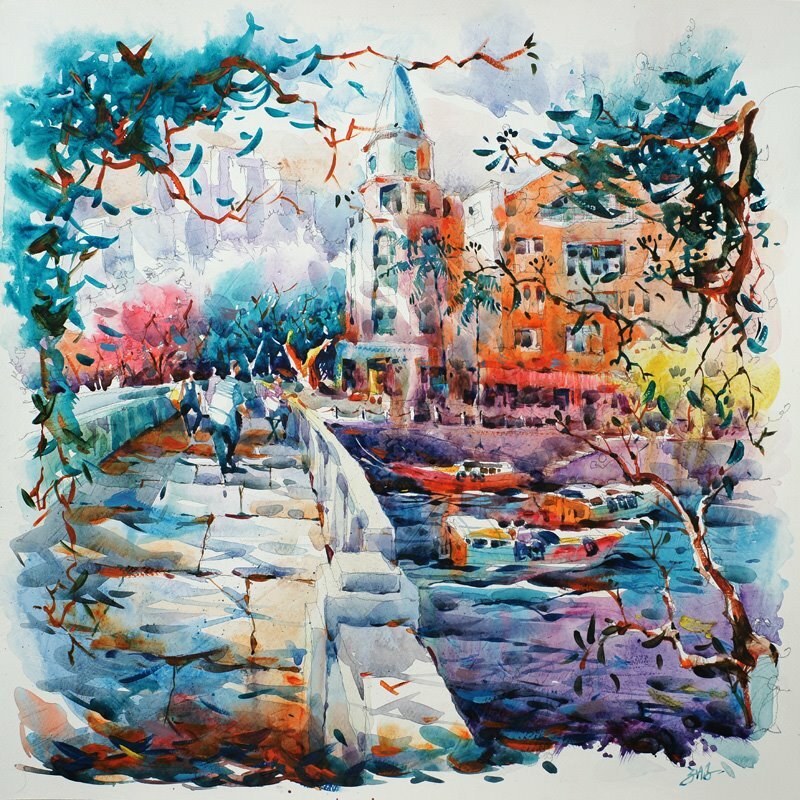 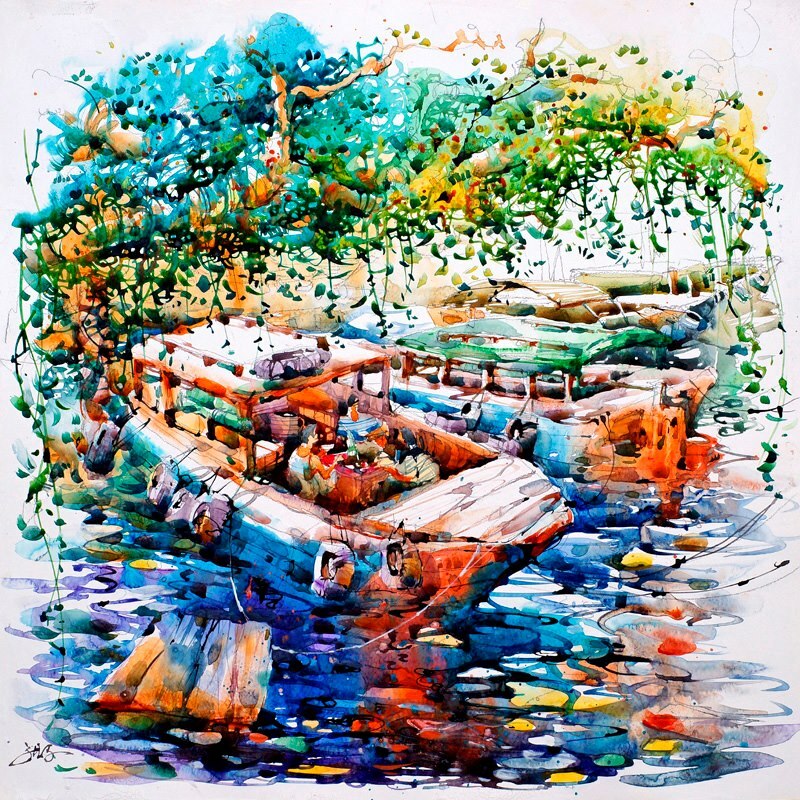 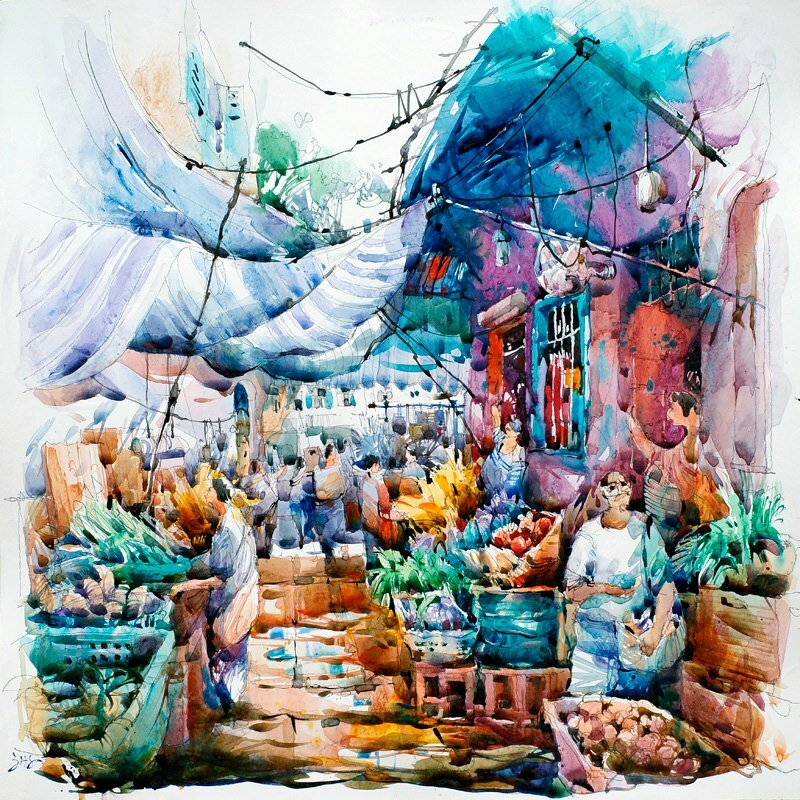 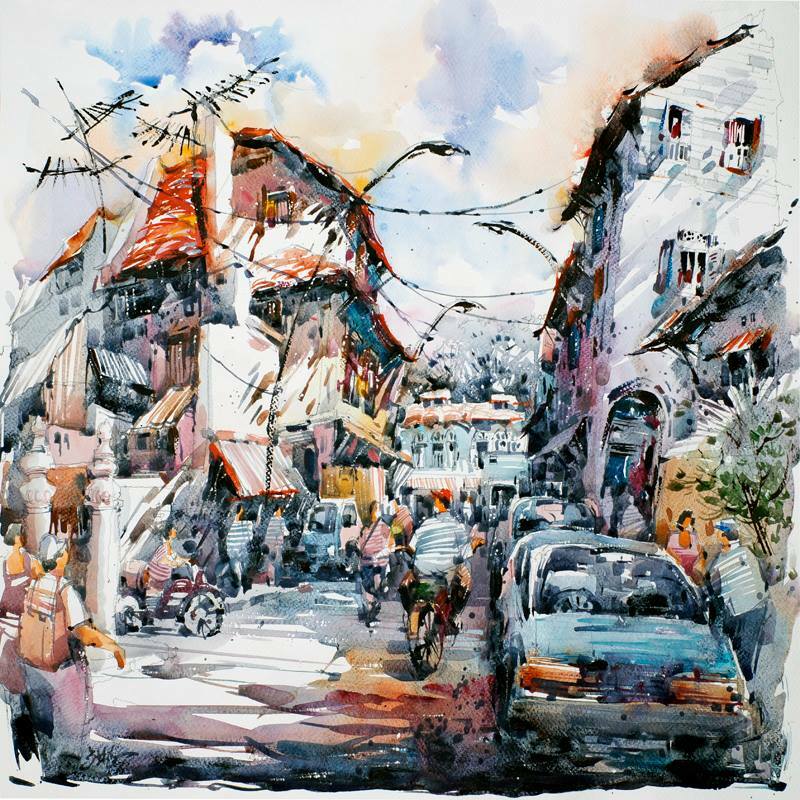 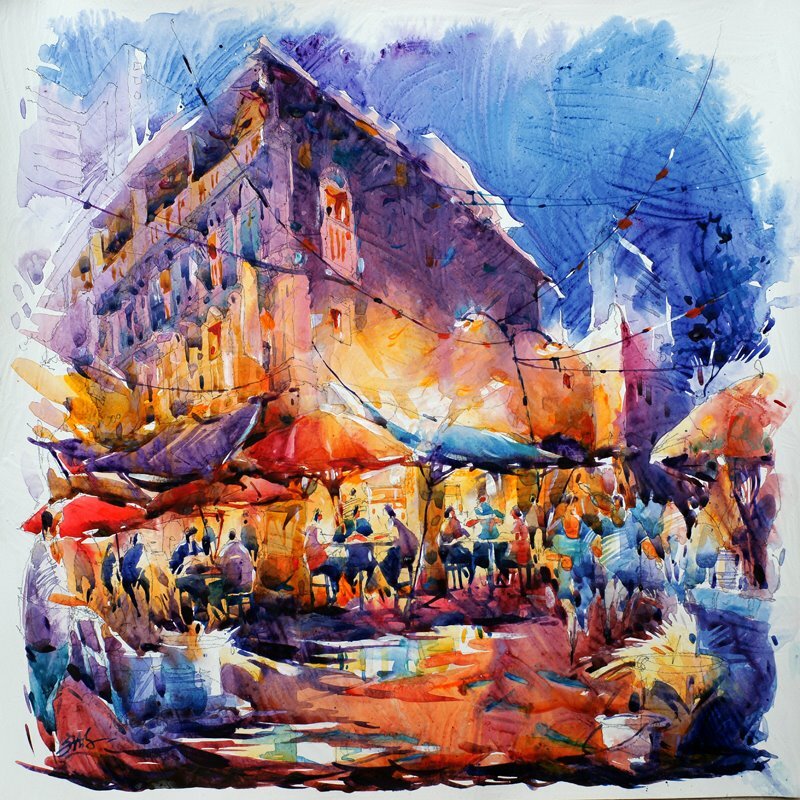 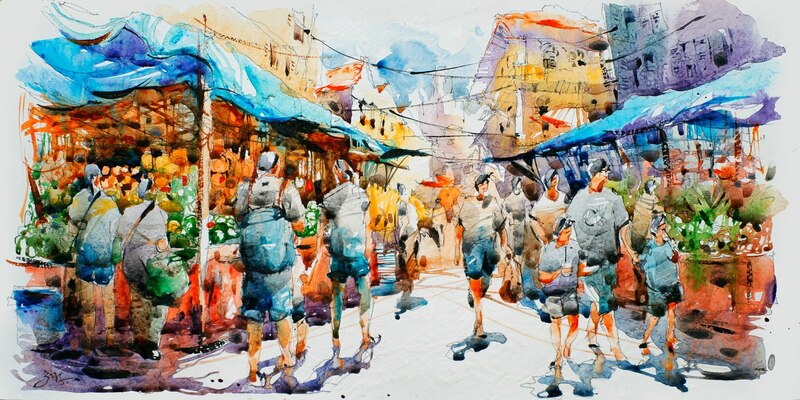 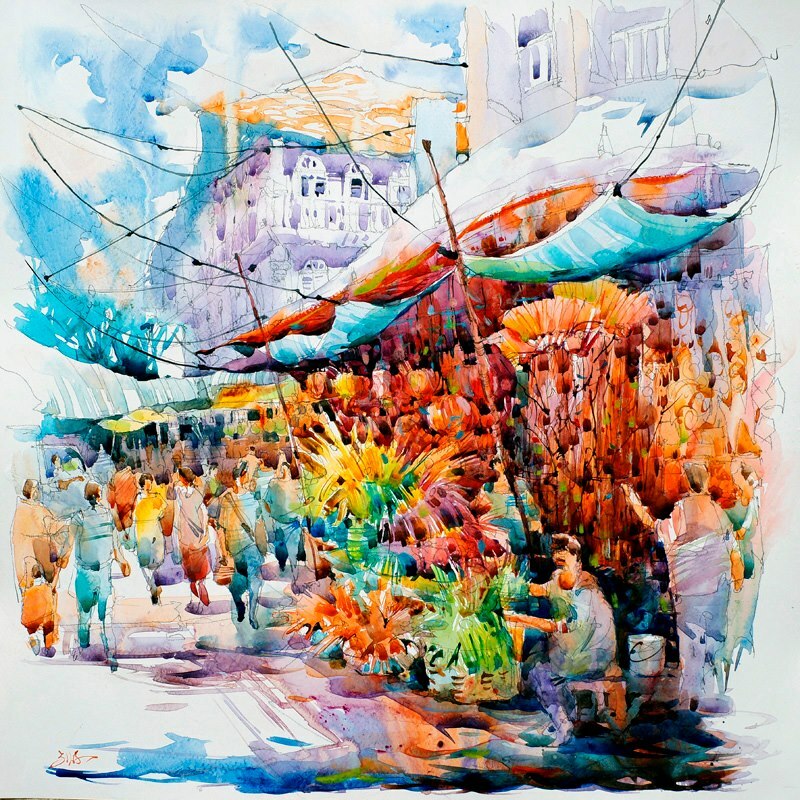 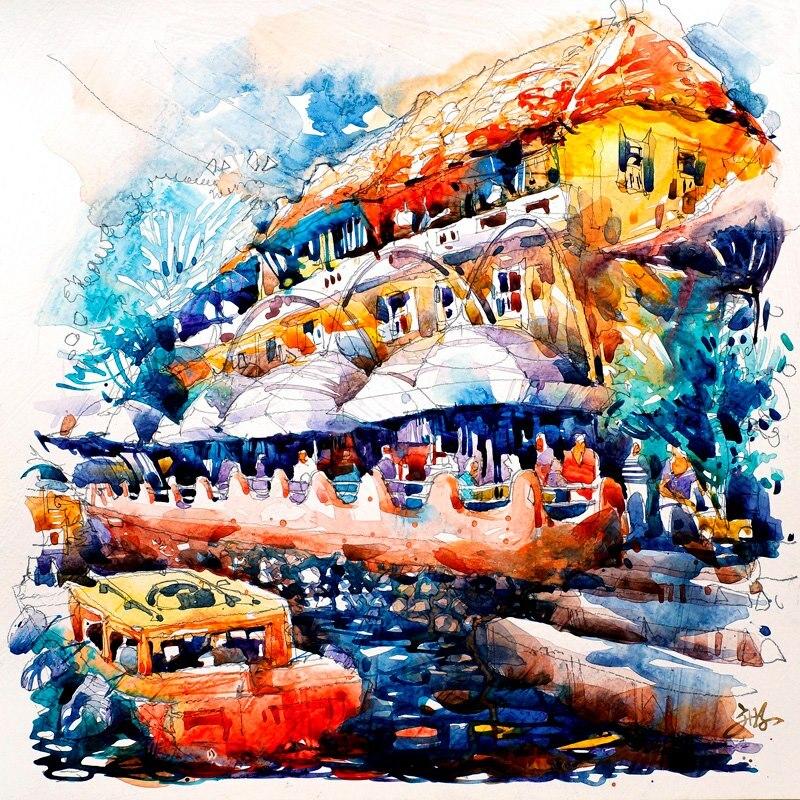 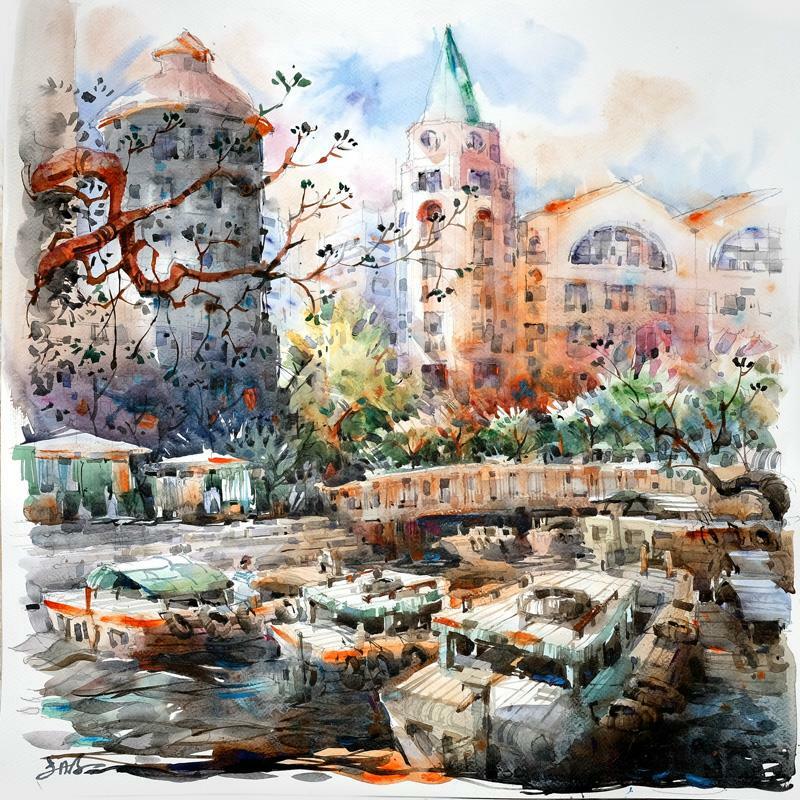 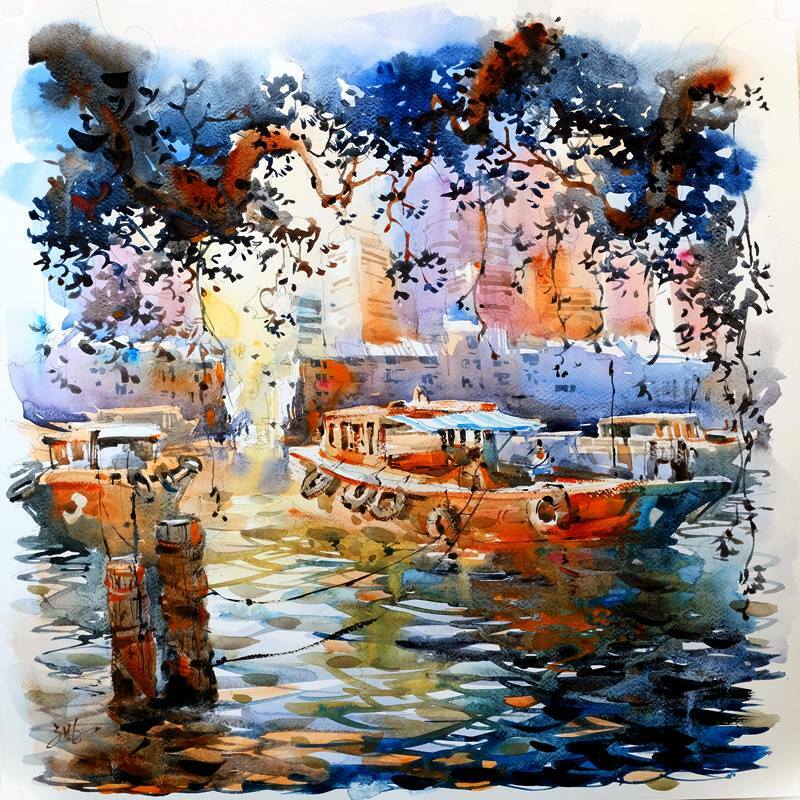 In short, Jack Tia has reinvented watercolour with acrylic medium. 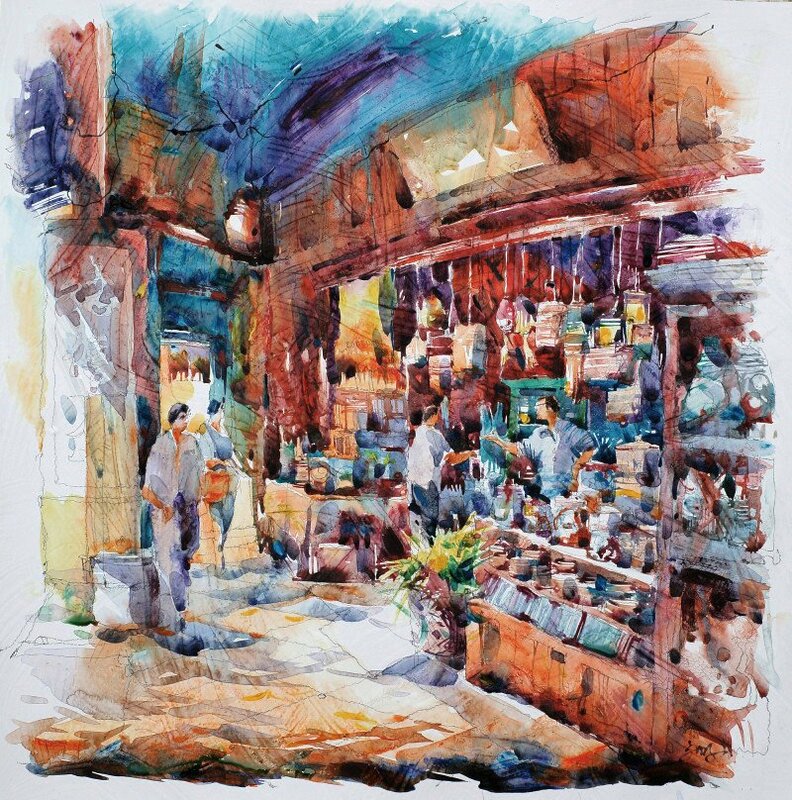 Building from his strong design concepts, Jack loves to work with square format instead of rectangle. 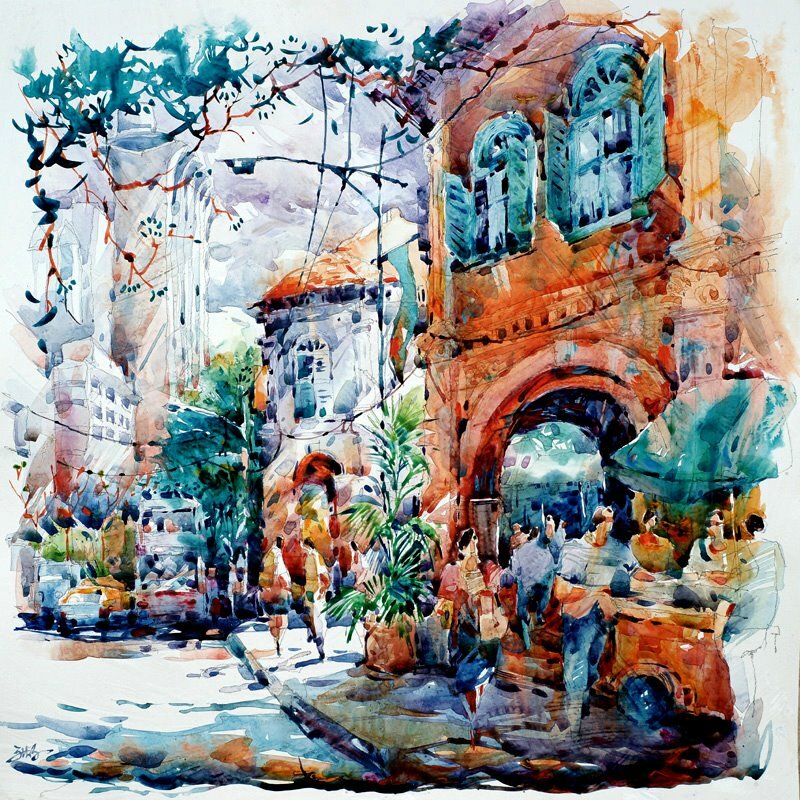 The square, being a contemporary scale, transforms classical subjects like Singapore streets, heritage buildings, Chinatown and Singapore river into their fresh new look. 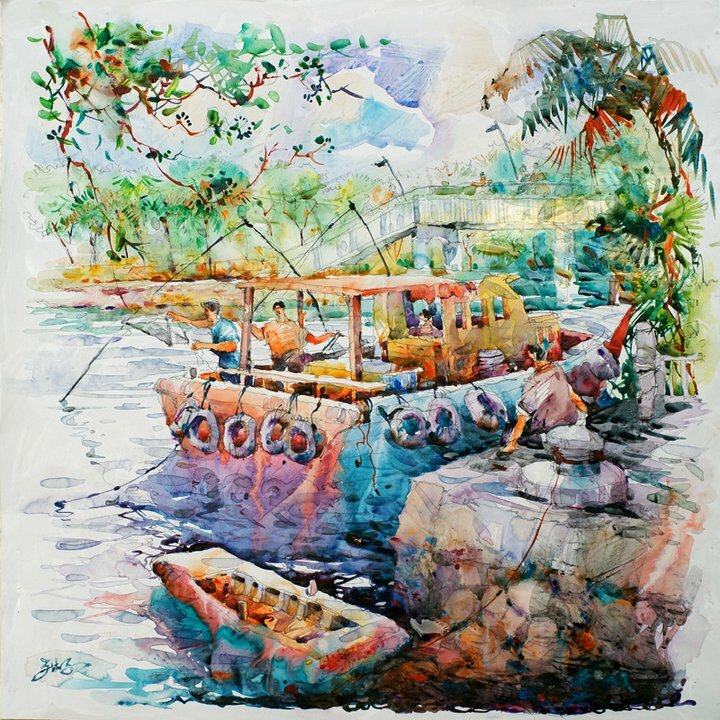 He reinvents water media and his media reinvents Singapore landscapes. 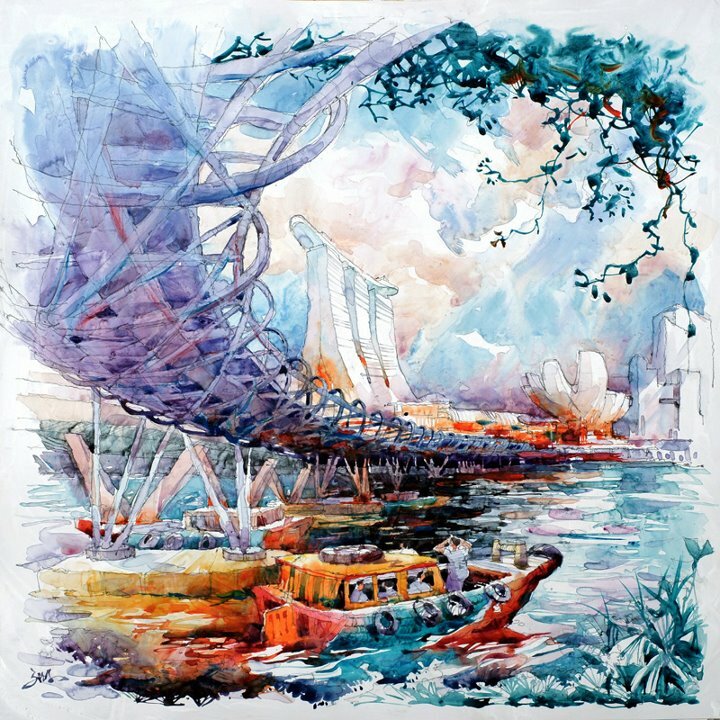 2003 - NAC Visual Art Tour Exhibition (Singapore).